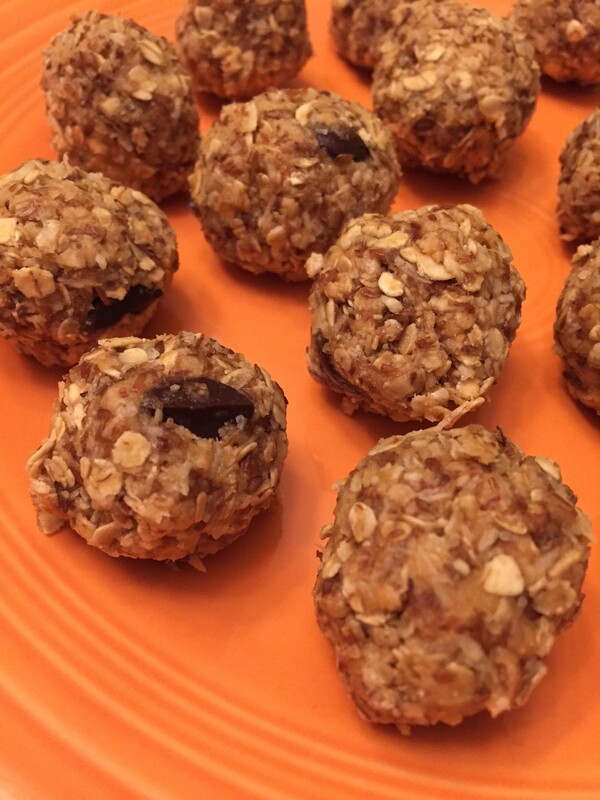 I made these little bites last week, because I’m always looking for little sweet-tooth snacks that are still clean and healthy. Plus, I had all the ingredients, so I could whip them up no problem! 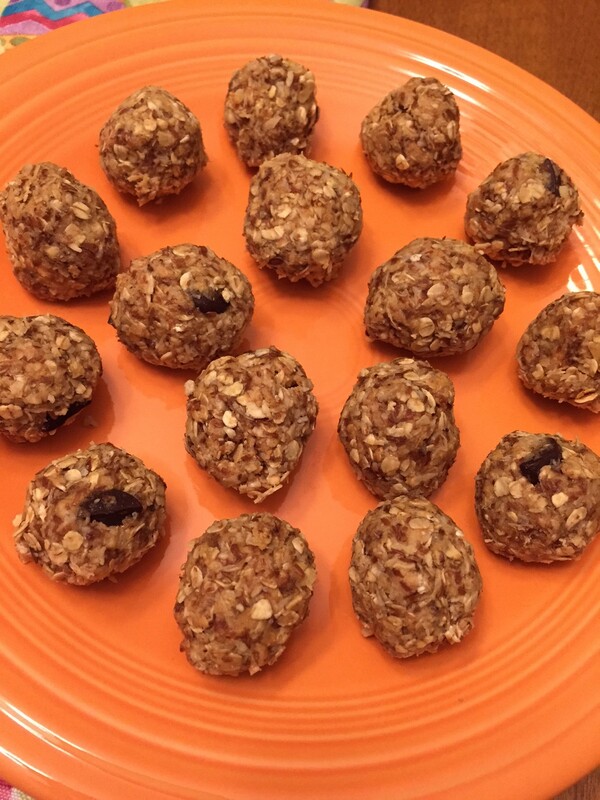 And no baking required, so they can be enjoyed almost immediately 🙂 I also liked that they didn’t require the food processor, so I could just mix everything together, roll into balls, and be good to go. 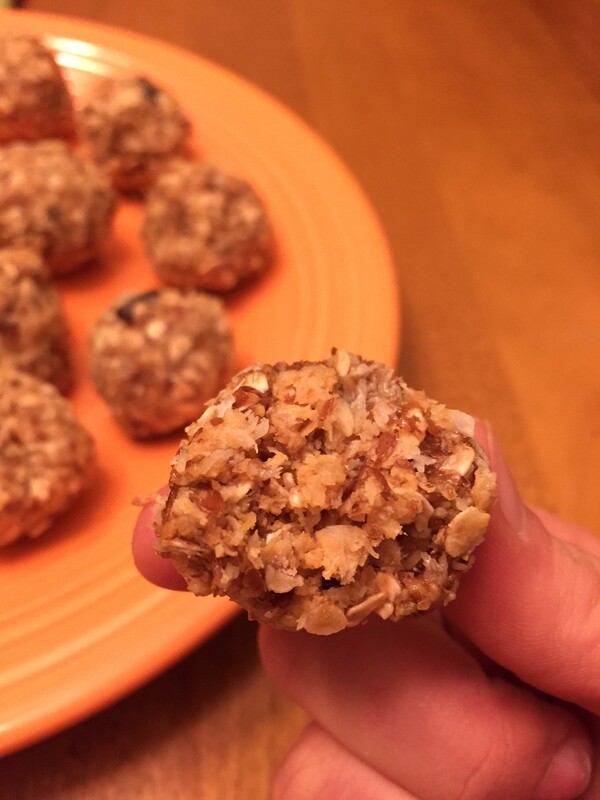 They have an awesome peanut butter and honey flavor, and the oats give them a nice chewy texture. 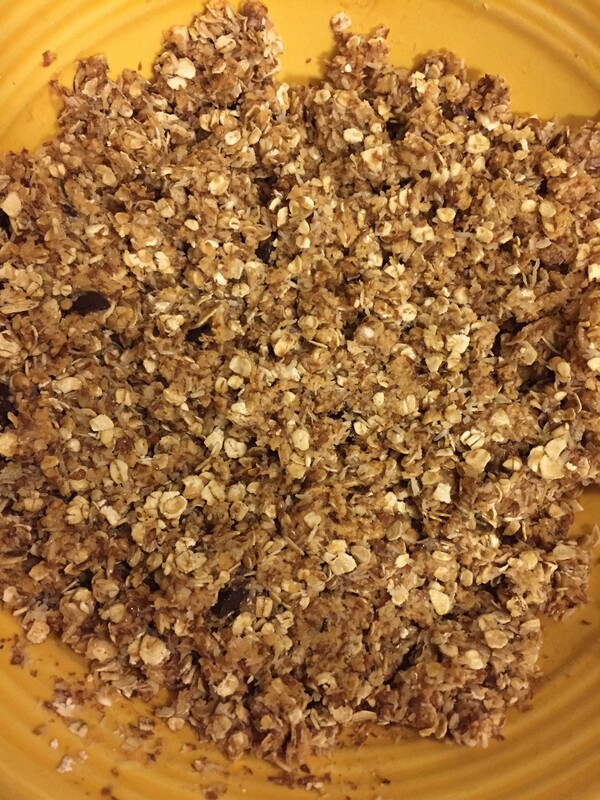 Definitely refrigerate them for a bit before digging in; it will help them stick together better so they won’t crumble when you bite into them (speaking from experience – I’m impatient). I got rave reviews about them at Easter, so I hope you like them as much as I do!! 1.) 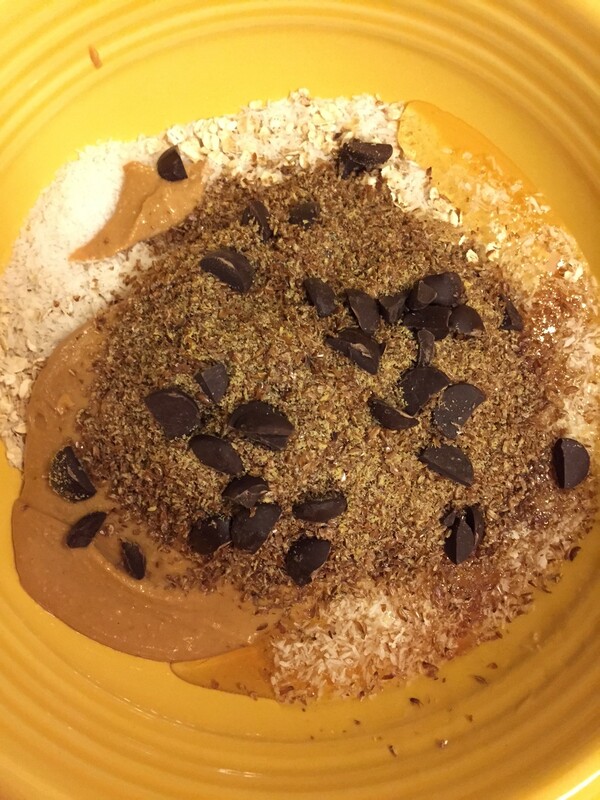 Mix everything together in a large bowl. Roll into small balls with your hands. You may have to keep wetting your hands so the dough doesn’t stick to them! 2.) Refrigerate bites for about an hour to harden them. Store in a container in the fridge and enjoy!